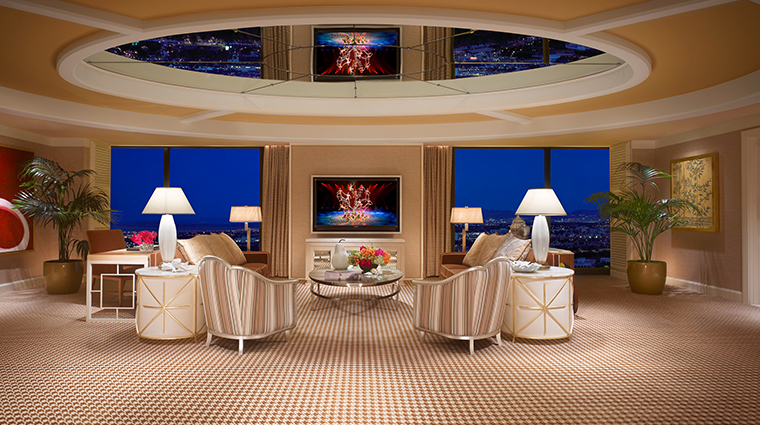 Encore Tower Suites is the mini, more upscale hotel within the main Encore at Wynn Las Vegas property, with its own private entrance and concierge, as well as a quiet driveway. Luxurious amenities abound, such as in-room massage tables and printers located in the suites and rooms, and the bathrooms, in decadent Vegas fashion, are all marble and include plenty of room to groom, with soaking tubs, walk-in showers and spacious vanities. There are even televisions in the bathrooms so you don't miss a thing. Despite all of the elegance seen throughout Encore Tower Suites, there is a fun whimsy in the public areas (think bright red chandeliers and lime green accents), plus modern clean lines and conveniences. And the location near the Las Vegas Convention Center and some of the other more popular Strip casinos such as Four-Star The Venetian Resort Hotel Casino and Four-Star Bellagio is a plus, too. You’ll arrive at a Tower Suites-only entrance and check in in a private lobby — quiet, with no lines and no casino — with its own valet and concierge. 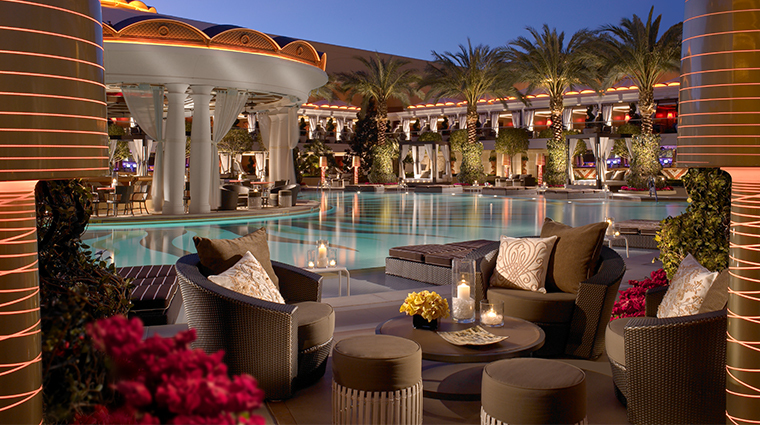 You're practically next door to The Spa at Encore Las Vegas and its phenomenal service. If nothing else, purchase a day pass to enjoy the impressive decor and lovely amenities. 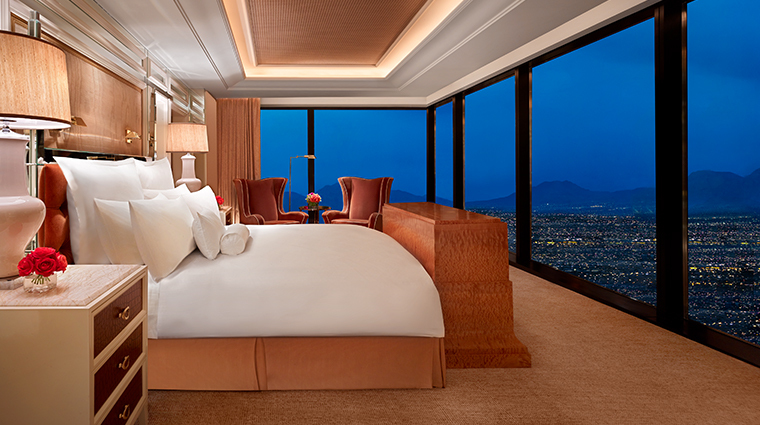 Have the Encore Tower Suites concierge book you a table at any of Wynn or Encore’s many restaurants — including the sleek and social atmosphere of Andrea's and the Forbes Travel Guide Four-Star Italian restaurant Sinatra. As a guest of Encore Tower Suites, you get access to any of Encore and sister property Wynn’s pools — including the exclusive Tower Suites pool, where raucous bustle is replaced with relaxing calm. No matter which restaurant you book at this luxe property, rest assured it will have vegetarian and vegan dishes. Expect additional housekeeping visits and turndown service when staying here, as well as complimentary clothing pressing and a chance to skip the line at Wynn’s buffet. Encore is attached to sister resort Wynn Las Vegas, so just a quick walk lets you take advantage of Wynn’s casino, restaurants and spa. Encore Tower Suites’ guest rooms are sleek and modern, with handsome finishes and a touch of drama. When you enter your room, you’ll find a mirrored foyer with black marble; neutral, textured wall paper; cream-colored fabrics and cream carpeting. The sitting area and office space has a black sofa, a leather ottoman and striped drapery covering floor-to-ceiling windows with views of the Las Vegas Strip or the sprawling valley. The 55-inch HDTV sits in the room divide and swivels to face any area of the room. In Encore Tower Suites’ larger rooms, you’ll find extra amenities, such as a powder room for guests, a separate massage room, a dining table and a marble wet bar. 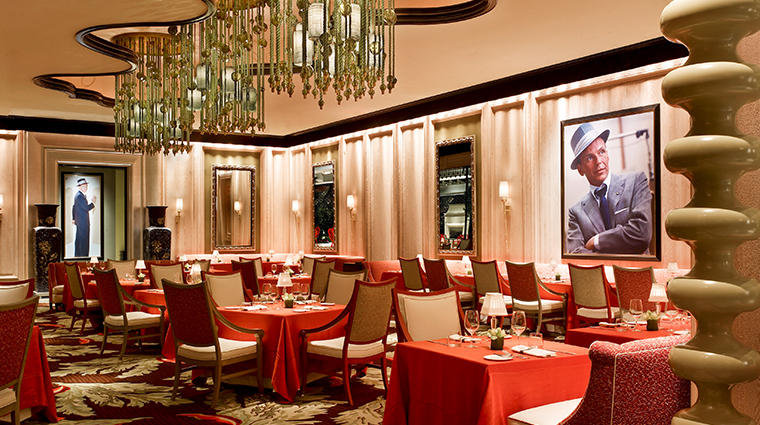 Encore features a handful of restaurants, including the Four-Star Sinatra, a classic Italian restaurant located near Encore Tower Suites. 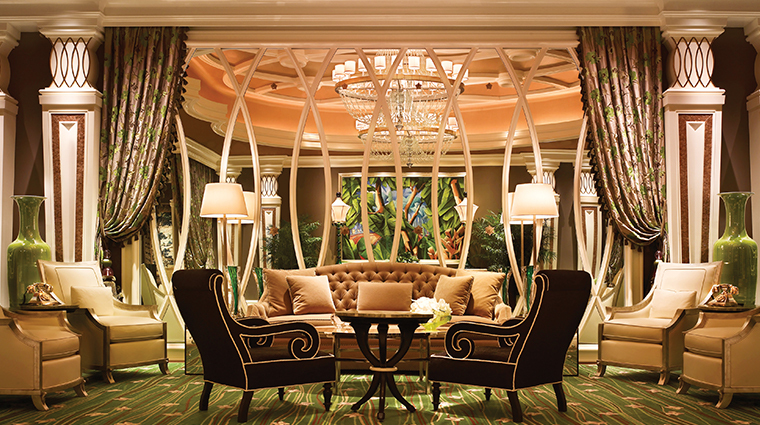 Guests at Encore can also choose from modern Asian fare at Andrea's and American comfort food at Jardin. At Wazuzu, choose from Pan-Asian dishes, including fresh noodles, sushi and dim sum. Sample tastes from around the world at the 15 live-action cooking stations presenting rotisserie grilled steakhouse cuts, coast-to-coast seafood and over 120 new dishes at The Buffet at Wynn.